I had been eying a new book about Childhood Apraxia of Speech (CAS) called Speaking of Apraxia: A Parents Guide to Childhood Apraxia of Speech since it was published a few months ago and was thrilled when the Author, Leslie A. Lindsay, R.N., B.S.N., provided me with a copy for a review. I hope you enjoy the review as much as I enjoyed the book! (Though the book was provided to me at no cost, the thoughts and opinions in this review are my own and unbiased). 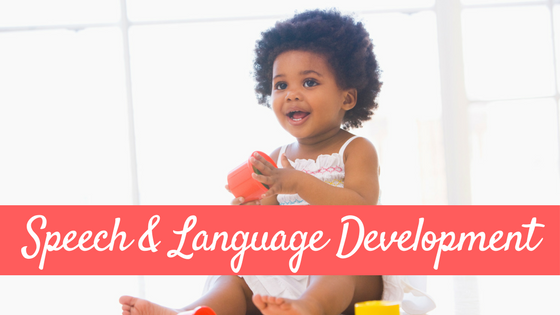 Are you a parent of a young child who is having difficulty speaking but not sure why yet? Are you a parent of a child who is suspected of having, or has been officially diagnosed as having Childhood Apraxia of Speech (CAS)? 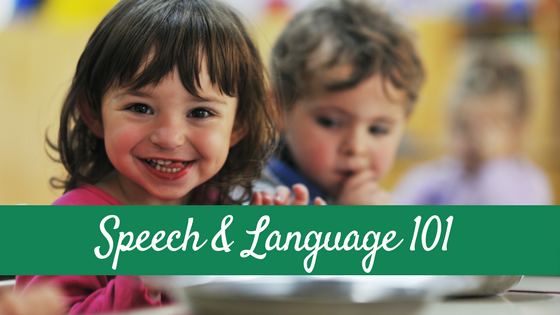 Are you a speech pathologist who works with children? Are you an occupational therapist, physical therapist, school psychologist, preschool teacher, or other educator or health care provider? If you answered to any of the questions above, then this is a book you should be picking up soon. 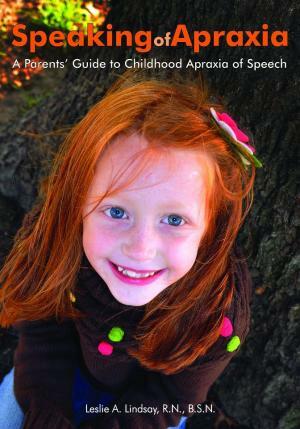 Written by Leslie A. Linsday, a former pediatric psychiatric nurse and parent of a child with Childhood Apraxia of Speech (CAS), this book is a comprehensive guide to everything relating to this challenging, and sometimes controversial, speech disorder. This book covers everything from symptoms and red flags of CAS, how and where to get an assessment, the in-and-outs of therapy and home practice, the emotional roller coaster of having a child with a “special need”, as well as covering subjects like alternative medical approaches to treat CAS. Weaved in and out of this book are perspectives from parents of children with CAS on the various subjects, as well as thoughts, opinions, and research from different professionals including many different speech-language pathologists. The font is a great size. Not too small to be overwhelming. Questions: The author uses questions to help break up the content and introduce a new idea. I also love this writing style and use it quite a bit on my blog. Charts: There are easy-to-understand charts in some sections…I love charts. They break things down into small, easy pieces. The chapters are divided into different sections and text boxes to keep things organized and easy to read. These include The Nuts and Bolts of the Chapter, What’s a Parent to Do? ; Parents Cope, What Can You Do At Home? ; and Parents Share. Again, this helps to make the book easy to read and understand. The content in this book is exceptional. The author obviously did her homework in all areas of the book. 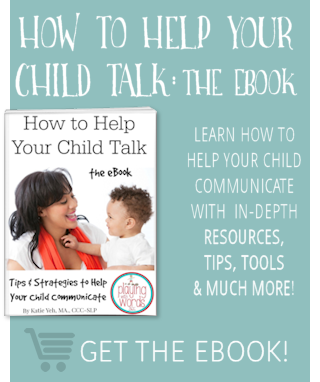 From diagnostic information to IEPs to the stages of grief, this book really covers all the bases (and MORE) of this speech disorder. Just an FYI: The author had an advisory board (including several SLPs) to help review and edit the book, which as an SLP I REALLY appreciate! 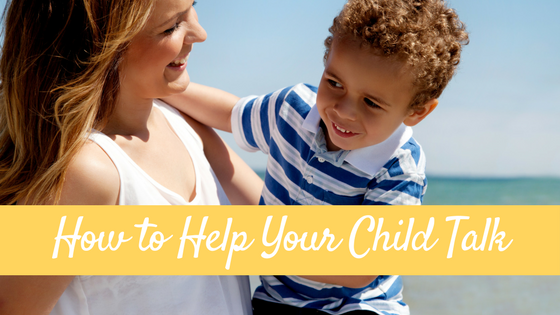 Also, Lindsay provides a TON of ideas for parents on how to help their child and how to assist with their child’s therapy…even tips on creating a learning space in your home! The author really went above and beyond what I expected to get from this book. Chapter 9 is my favorite. 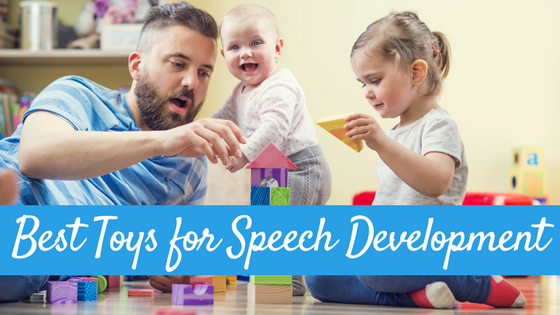 Entitled What You Can Do at Home: Tapping into Your Inner Speech-Language Pathologist, Lindsay provides a TON of different activities that can be done at home to help with a child’s speech. Most of these ideas can be used for children with all sorts of speech or language delays, not just those children with CAS. Many of the ideas I use in my own speech room or have suggested to parents, and yet I even walked away with some new ideas! This chapter is AWESOME! And this book is NOT just for parents! This book has something to offer for EVERYONE who works with children with CAS. If you are a parent of a child with CAS you really must pick this book up. The author wrote this book because at the time her daughter was diagnosed, there was no book like this for parents. So she wrote it herself! As far as I know, this is the only one of its kind and believe me, you will not be disappointed. As a parent who has a child who had a “diagnosis” at age two, I completely understand the emotional roller coaster you go through when a professional (for us it was a doctor) diagnoses your child with something that you had never heard of before. Your life turns upside down. What is this disorder/disease? How did my child get it? Is it my fault? Was it that Dramamine I took when I was pregnant? Maybe it was because I painted my toenails? How do we fix her? Yes, as I was reading the sections of this book where Lindsay describes the time around her own daughter’s CAS diagnosis, it took me back to when my daughter was diagnosed with Juvenile Arthritis. Completely different in every way, these conditions effect the family emotionally in very similar ways. Reading this reminded me that as parents we all love our children and no matter what kind of issue or how severe that issue is, having something “wrong” with your child is painful nonetheless. So as a parent, I could appreciate so much of this book even though I don’t have a child with CAS. You WILL learn something about CAS. I did! You will learn about CAS not only in a factual manner, but also from the perspective of a parent. Lindsay does an excellent job of weaving the facts of CAS together with perspectives from parents of children with CAS. Much like doctors, sometimes us SLPs can forget about the emotional component of going through the process of assessments, diagnoses, and therapies. Reading this book will remind you that the children you work with have families that care deeply about their child and that this process can be hard on the whole family. There are some GREAT ideas in Chapter 9 for home practice that can be used in therapy as well. I have used many of them but if you are like me, you may come away with a couple new therapy ideas! If you are a professional that works with young children with CAS or with other speech/language disorders, I highly recommend this book. Preschool Teachers, Pediatricians, Occupational Therapists, Physical Therapists, Special Education Teachers, Elementary School Teachers, Childcare Providers….anyone who works with a child with CAS needs to read this book to gain a better perspective of what life is like for these children and their families. You can pick up a copy of Speaking of Apraxia: A Parents’ Guide to Childhood Apraxia of Speech at my favorite place to buy books, Amazon! In fact, if my review didn’t convince you to pick up this book, read the reviews on this book on Amazon for yourself…they are all 5 stars! You can also find it through the publisher Woodbine House, as well as in store and online at Barnes and Noble. Want to Learn More About Childhood Apraxia of Speech? Leslie Lindsay was formerly a Child and Adolescent Psychiatric nurse at the Mayo Clinic. She attended the University of Missouri-Columbia and earned a B.S.N. from the Sinclair School of Nursing with a minor in psychology. She and her family, including a daughter with CAS, live in suburban Chicago. 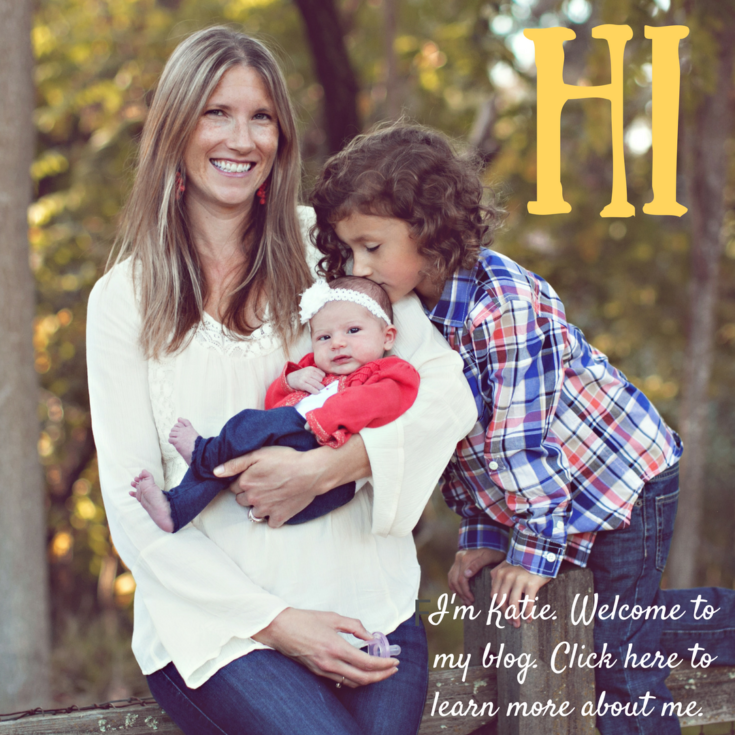 She writes about a range of parenting issues on her blog, Leslie 4 Kids. Thank you for this lovely review!! Love how clearly you made your points, easy to read and just an honor to have “found” you and your blog, Katie. Thank you. Wonderful!! Really hope you enjoy the book. It just made finalist in Reader’s Choice awards and also nominated for book of the year, health category in ForeWord Review. I’ll be speaking at the Atypical Learner’s Conference in Annapolis aside from Nancy Kaufman!